Global smartphone brand Vivo rubbed shoulders with geek and pop culture fans at the recently concluded AsiaPOP Comicon Manila 2018, the biggest annual comic and pop culture convention in this part of the world. Held from July 27 to 29 at the SMX Convention Center Mall of Asia Complex in Manila, sunglasses and eyewear store Ideal Vision Center presented the limited-edition Comic Specs with Gamerspecs as complemented by the artificial intelligence (AI) Game Mode feature of the newest Vivo X21 for a one-of-a-kind gaming experience. 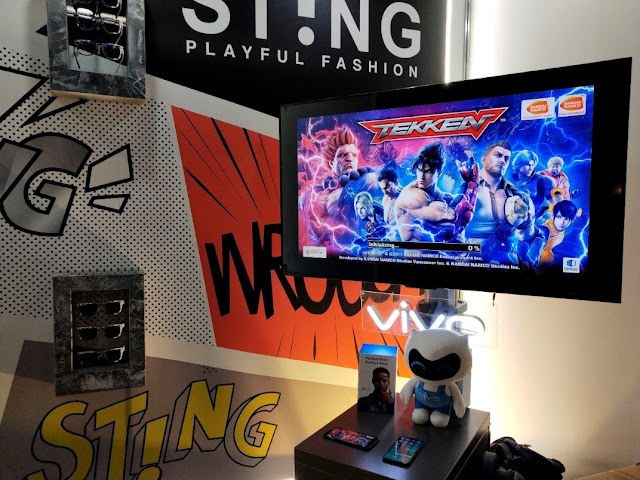 Gaming enthusiasts tried their skills playing popular games such Tekken, NES, Mortal Combat, and CSR Racing at the Ideal Vision and Vivo gaming booth. Ideal Vision materialized the Gamerspecs in partnership with Italian eyewear Sting. The country’s first lenses especially made for gamers are made with plastic resin material with layers of blue coating, AR (anti reflective) coating, UV coating, and sandwiched Photochromic material to allow longer game time. Apart from the Ideal Vision tie-up where gamers got a chance to experience playing their favorite games on the Vivo X21 using Ideal Vision Center’s special gaming lens, Vivo also gave away special prizes to AsiaPOP Comicon Manila 2018 attendees who took part playing games in the booth and also by simply liking the official Vivo official Instagram account. Ideal Vision also gave away special tokens during the three-day event.